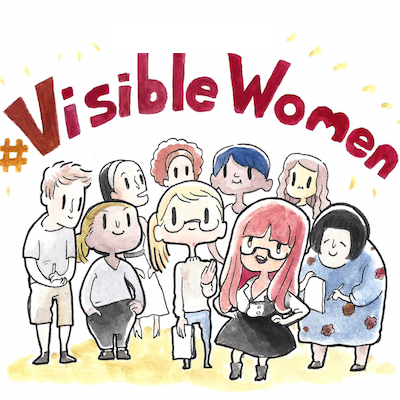 We’re doing another round of #VisibleWomen on August 7th, 2017. This time we’re opening submissions up to include women* colorists, letterers, inkers and writers as well as artists. 140 characters is not a lot, so if you can include a word or two about your style, GREAT! If not, give us enough to get us started. Additionally, to ease sorting/searching, please write your trade (I DRAW/LETTER/COLOR/INK/WRITE) in ALL CAPS in your post. IMPORTANT: SELF SUBMISSIONS ONLY. It’s GREAT that you want to support your friends, but do not submit for them. We don’t want to risk signal-boosting someone who does not yet feel ready. Join us on Twitter on August 7th.